AmeriTitle Super Star – LaDonna Alley | AmeriTitle Super Star – LaDonna Alley – AmeriTitle Inc.
LaDonna Alley is a Title Officer at AmeriTitle’s Pocatello, Idaho office and has been in the industry for 19 years. Throughout her career, she has worked for three title companies — all at the same desk! In 1999, she joined Stewart Title, which was eventually acquired by Northern Title. AmeriTitle then purchased Northern Title in 2006 and the rest is history. Despite the title company changes over the years, LaDonna’s dedication to providing accurate and timely title services to her clients has remained consistent. Her years of experience and keen eye for detail makes her the ideal title professional for any real estate team and transaction. Originally from Pocatello, LaDonna enjoys spending her spare time with her husband of 31 years, Robert, as well as her son and daughter-in-law, Caz and Ashley. Her other interests include going to concerts, camping, kayaking, traveling and working in her yard and greenhouse. She is also a fan of pro-cycling and the NBA. Contact AmeriTitle Pocatello if you’re purchasing or selling property in Bannock or Power County, Idaho, let LaDonna put her experience and superior client service skills to work for your transaction! 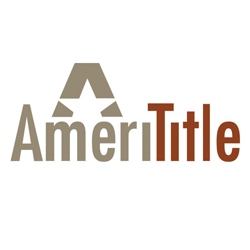 Recognized as a trusted resource for settlement services in the Pacific Northwest, AmeriTitle’s convenient locations in Oregon, Idaho, and Washington offer superior service and local expertise in all aspects of escrow, title insurance, and mapping services.